autodestruct : digital: "Uh, no thanks." 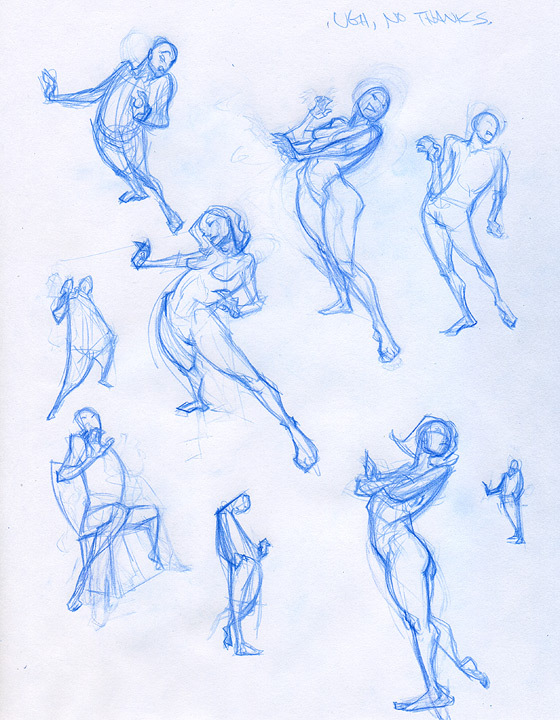 In an effort to get myself thinking of poses BEFORE I start to draw them, I'm now choosing offhand remarks and bits of random dialog to drive gesture. This one is "Uh, no thanks." I could (and probably should) do this same exercise with facial expression, too. thats a good idea, ill have to try that too.